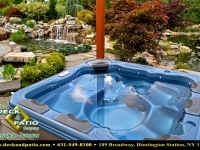 The Deck and Patio Company is an authorized dealer of Bullfrog Spas. 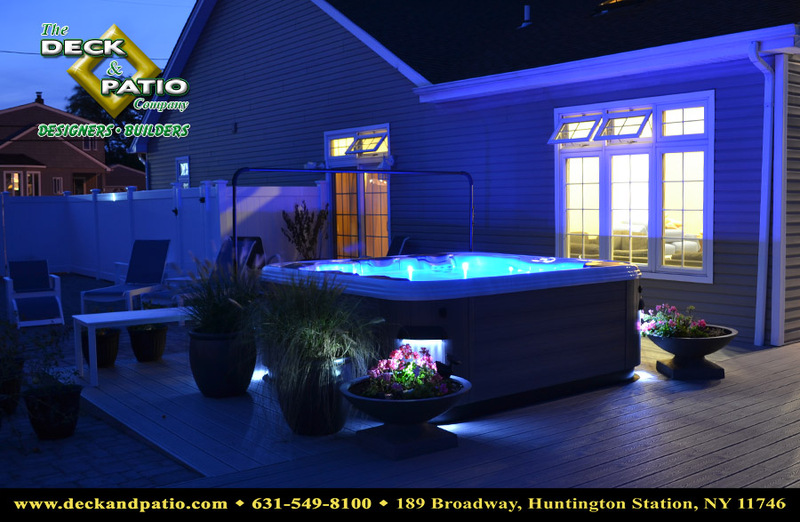 We are ready to provide any service necessary, from an at home consultation to the installation, beautification, and maintenance of your spa. 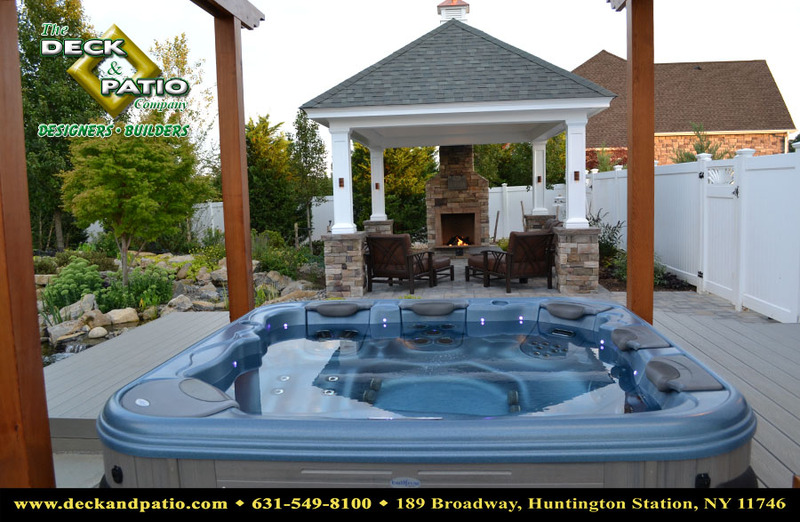 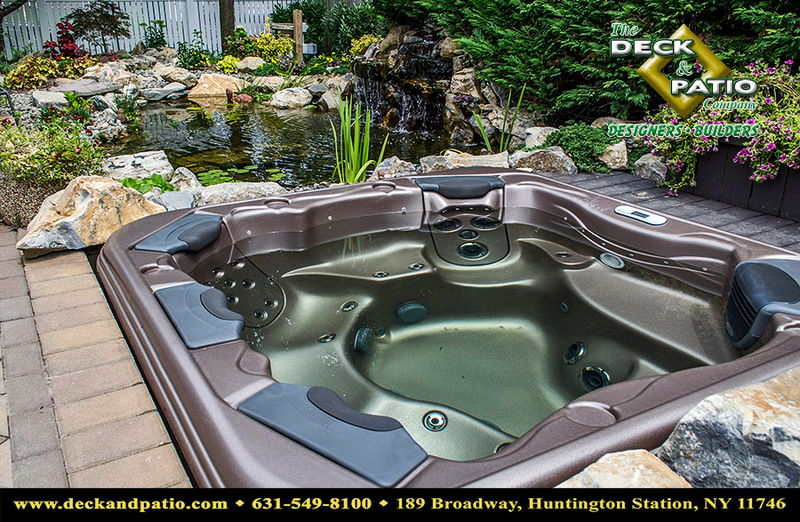 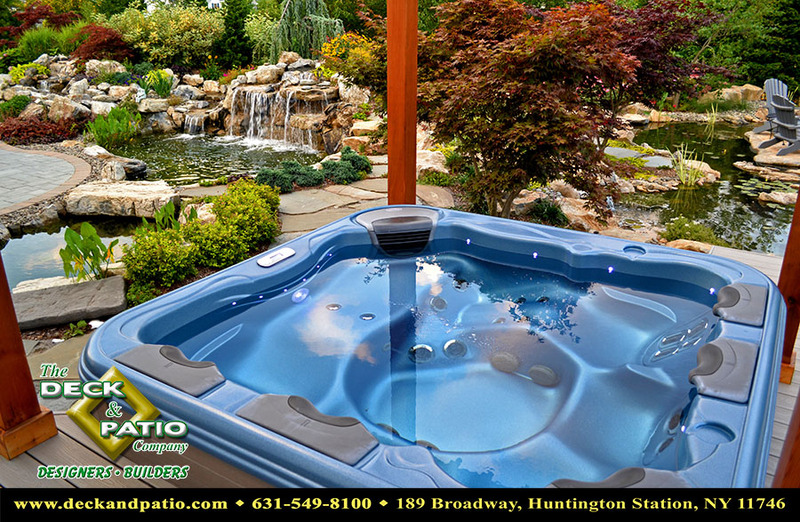 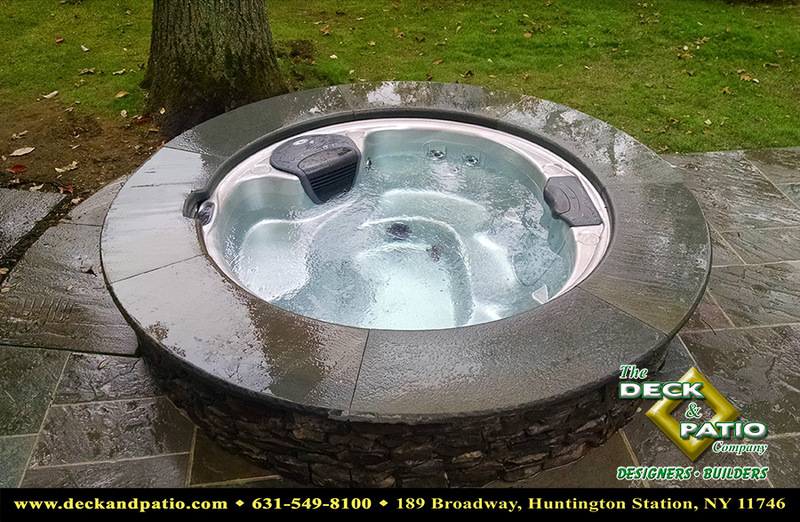 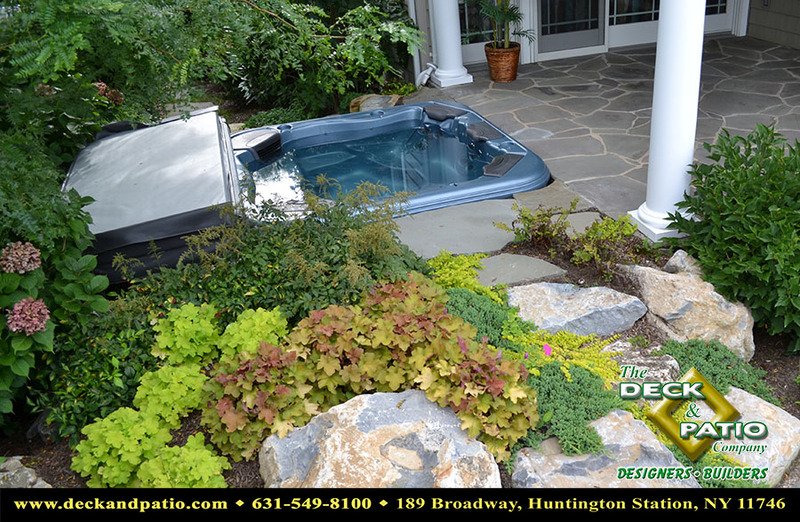 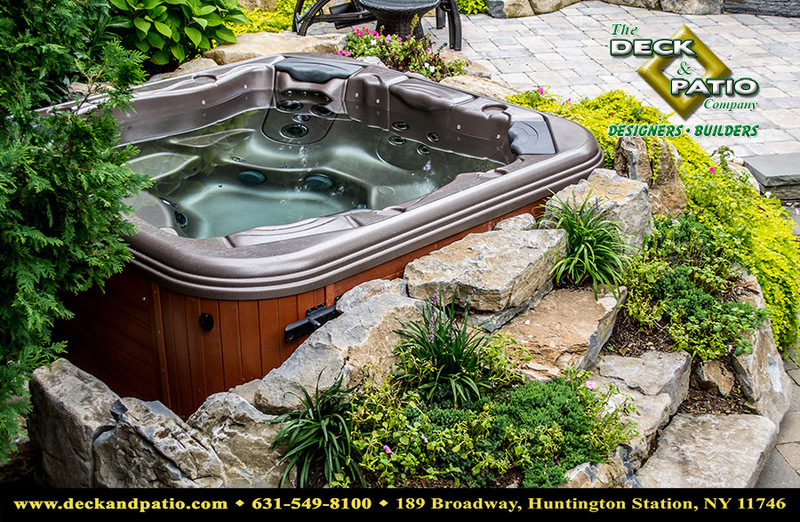 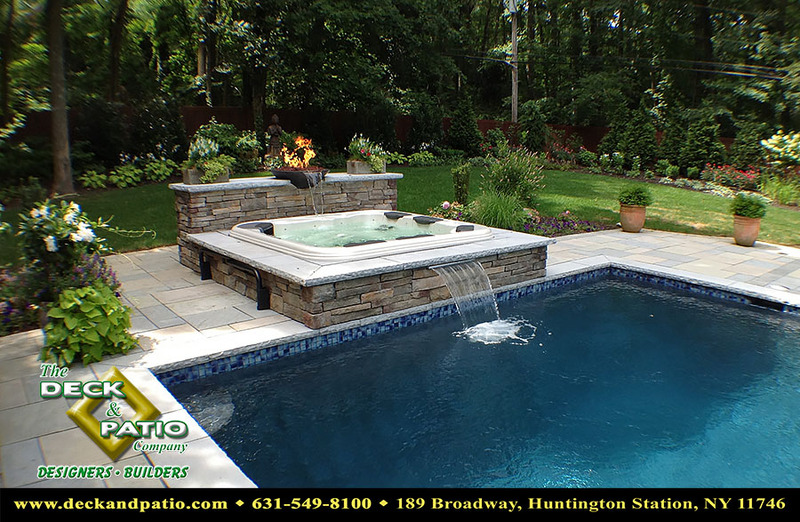 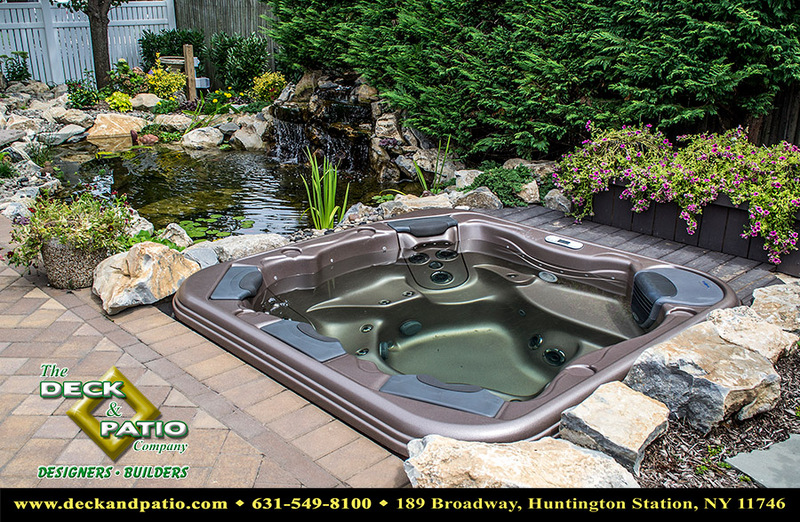 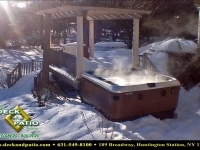 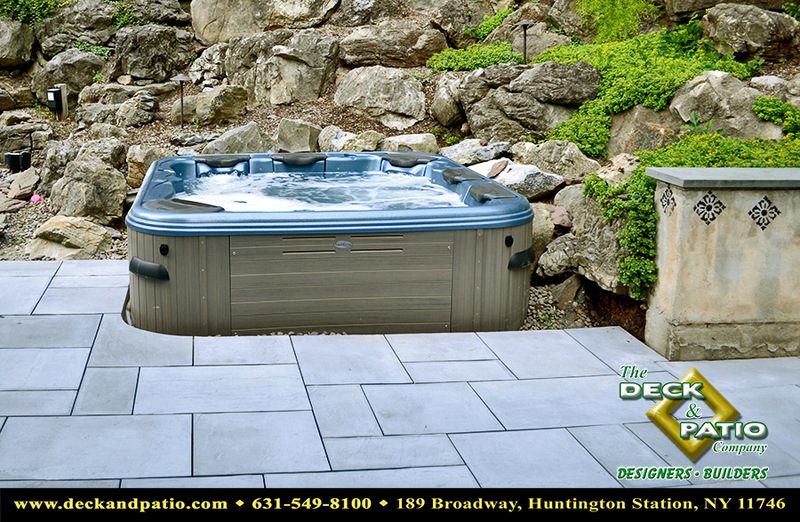 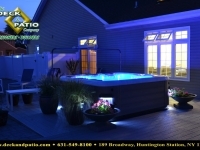 Hot tubs and spas are excellent additions to yards. 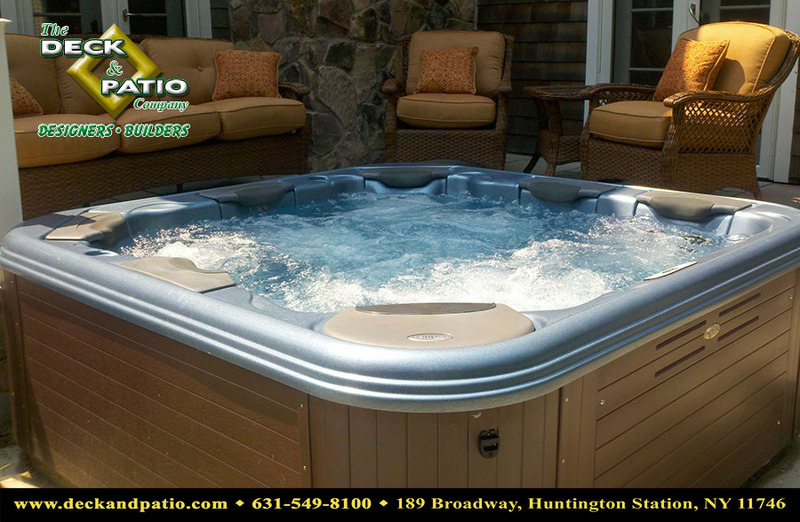 They can be used all year round for entertaining guests, family time, or simply for relaxation. 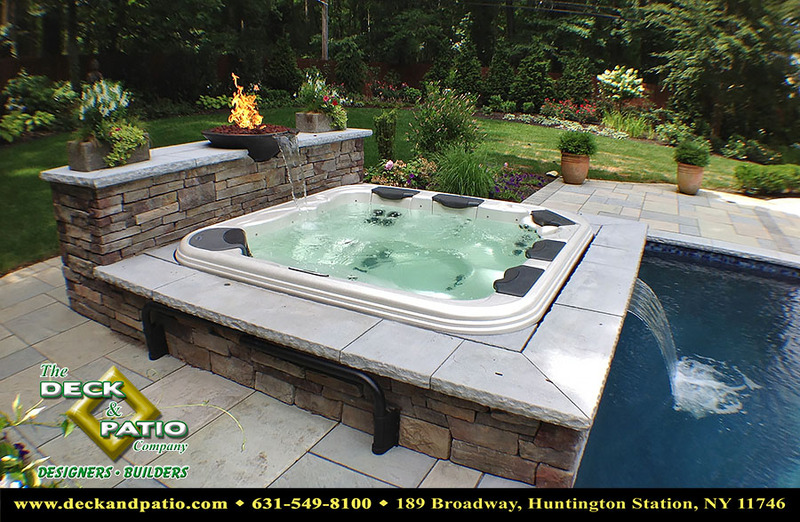 Hot tubs and spas are also aesthetically pleasing. 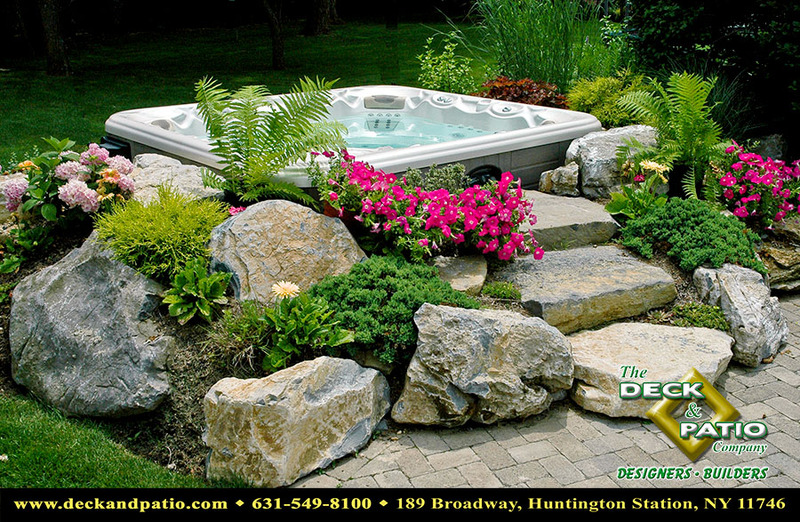 They are a nice focal point in a yard, and can do so much to enhance the look of an area. 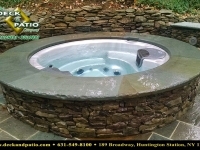 Spas and Hot Tubs are a great alternative to a swimming pool. 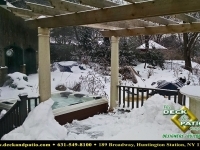 They are smaller, so they do not take up as much space. 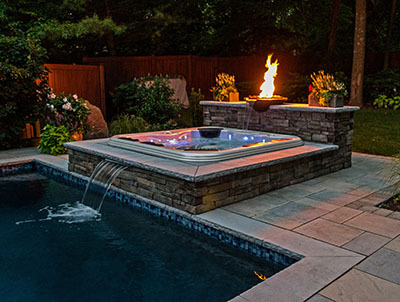 Also, there are very few building code restrictions. 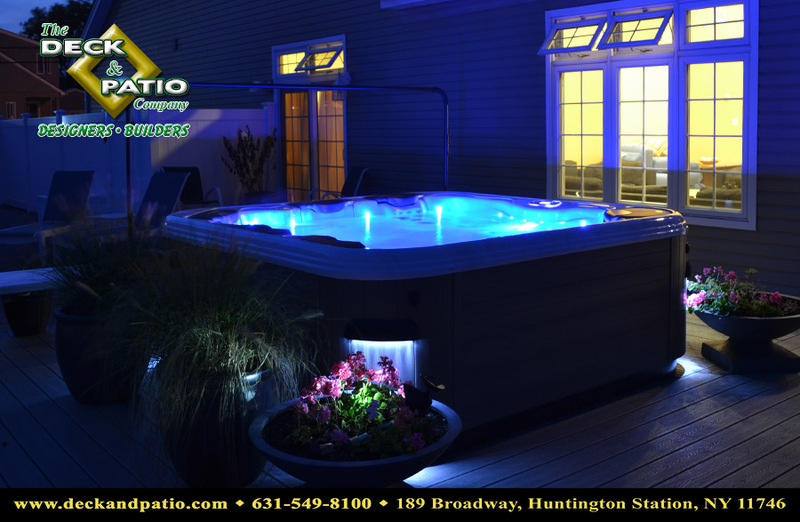 When getting a new pool, it can be a hassle just to meet all of the building codes and safety requirements, but spas and hot tubs eliminate nearly all of this trouble. 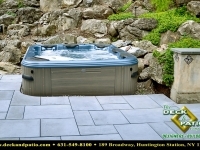 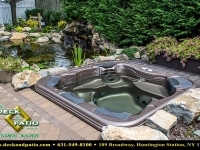 Hot tubs and spas are also a great alternative to pools because of their affordability, especially Bullfrog Spas. 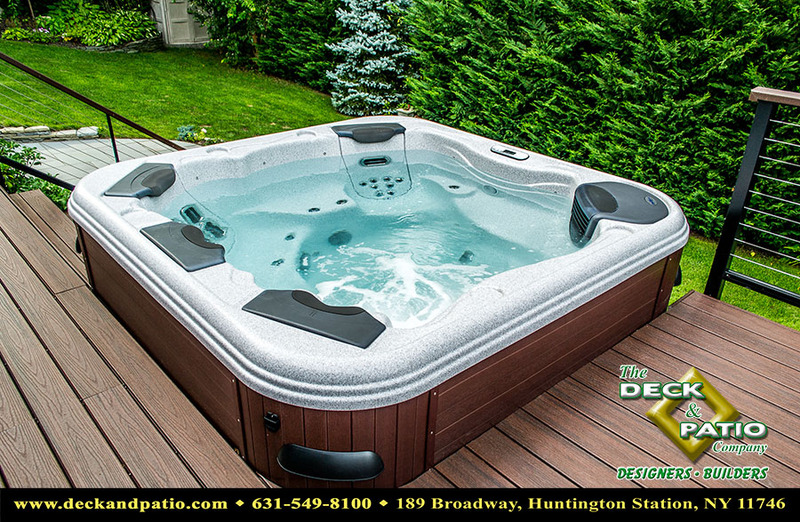 Because they are portable spas and incredible customizable due to the JetPak system, your spa can be tailored to exactly fit your needs and your price range. 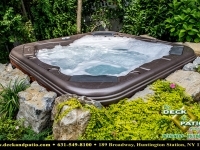 There are tons of options to be added on to each spa, but the cost can easily be kept very low with any spa. 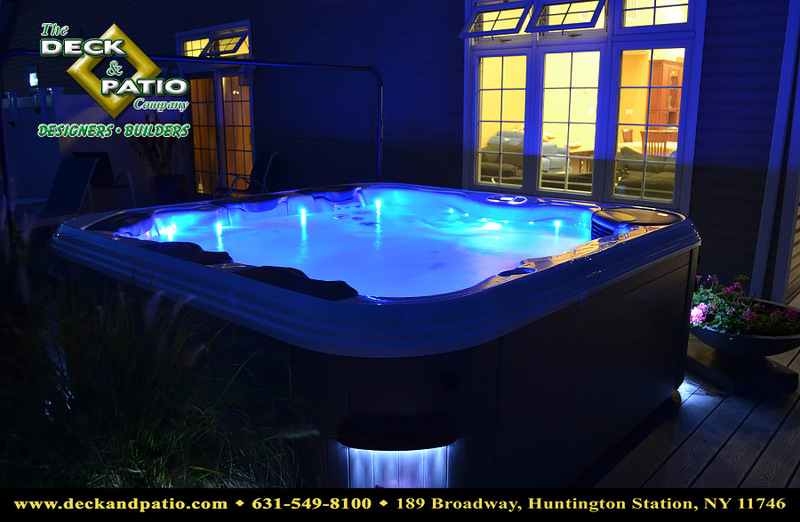 Also, since JetPaks can be changed with ease, it can be like having a brand new spa every time you step inside. 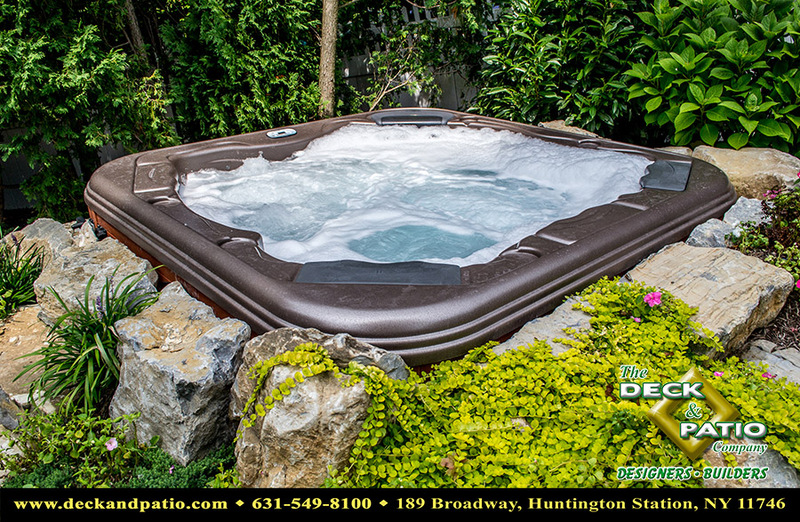 Because Bullfrog Spas are virtually leak-proof and among the most energy efficient spas on the market, the cost for the quality and versatility is unbeatable. 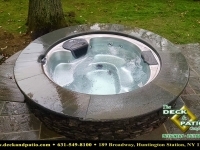 Another unique quality about hot tubs and spas is that they can be installed indoors. 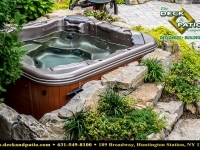 Many models of Bullfrog Spas are small enough to fit through most doorways, and can even be plugged into standard outlets. 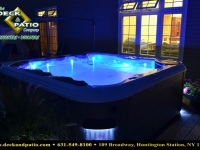 This opens up a whole new avenue of hydrotherapy and relaxation, because it can be brought inside your home. 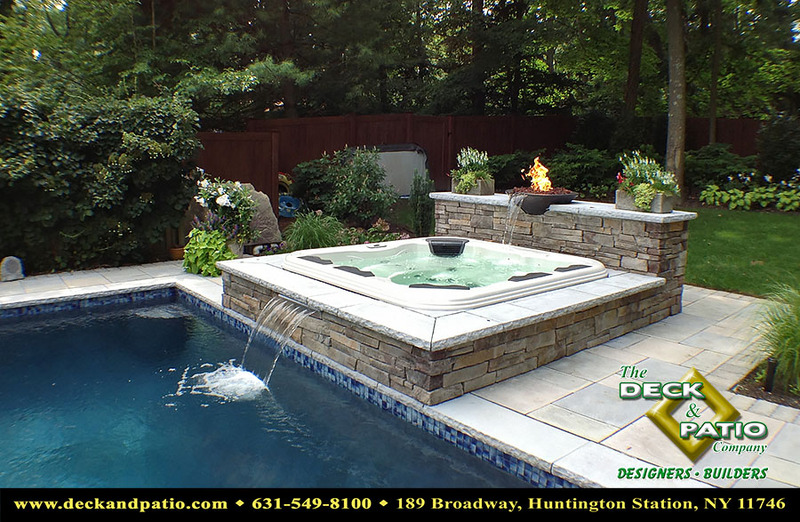 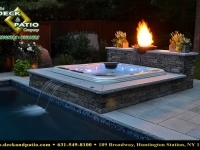 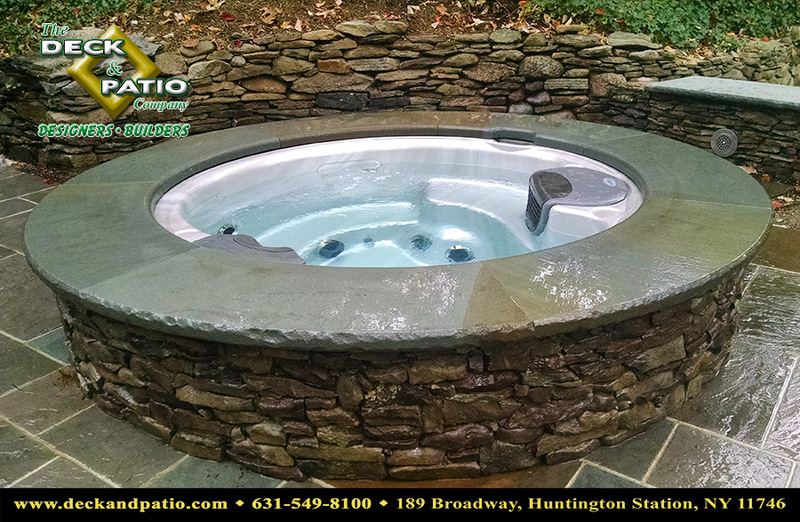 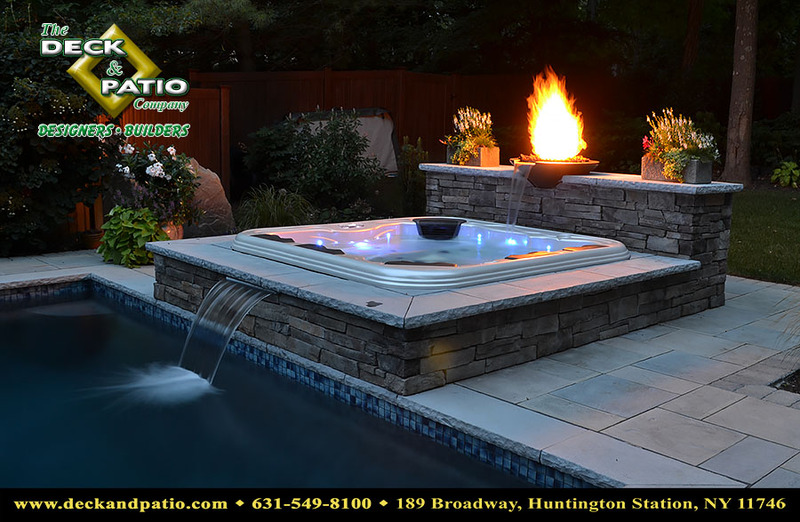 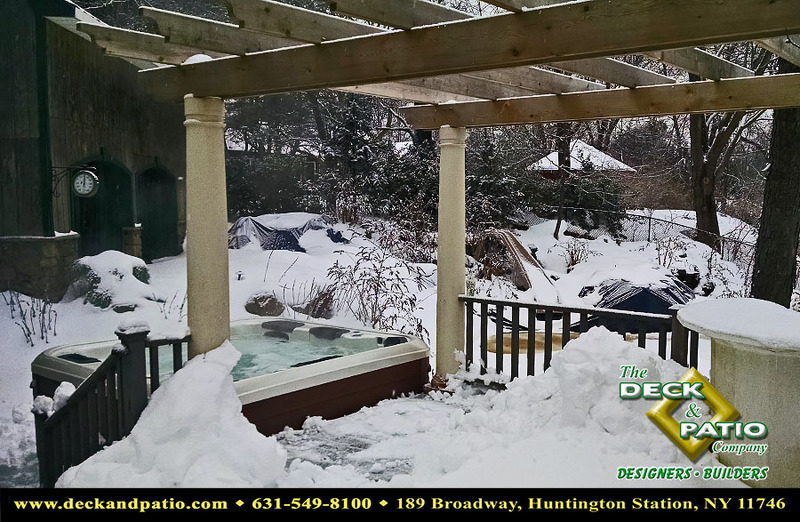 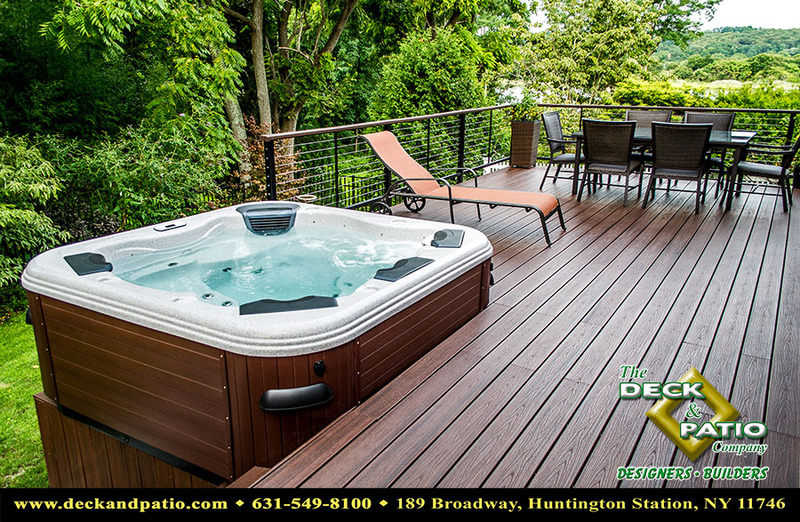 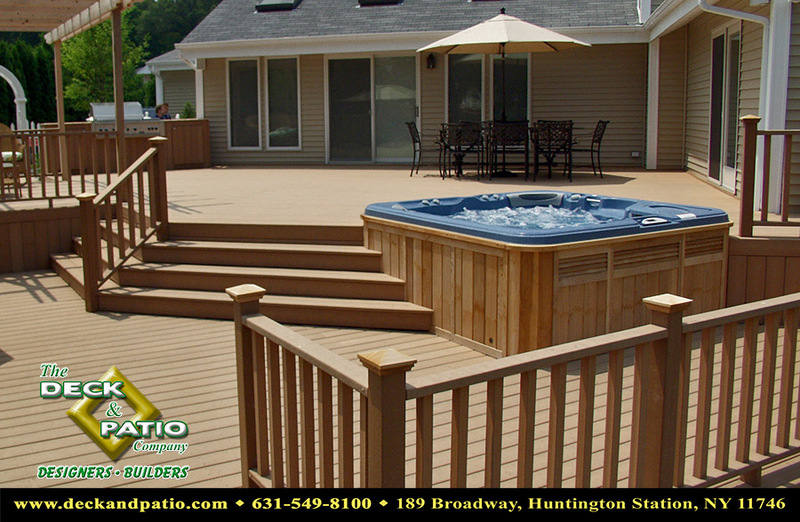 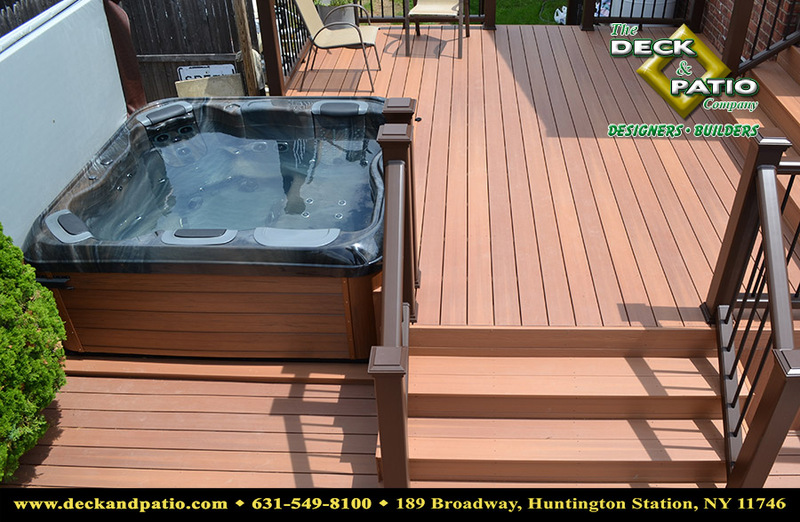 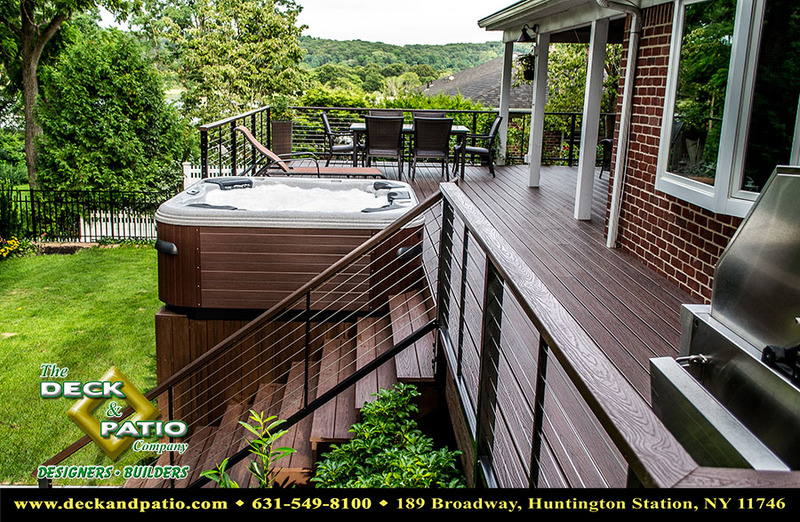 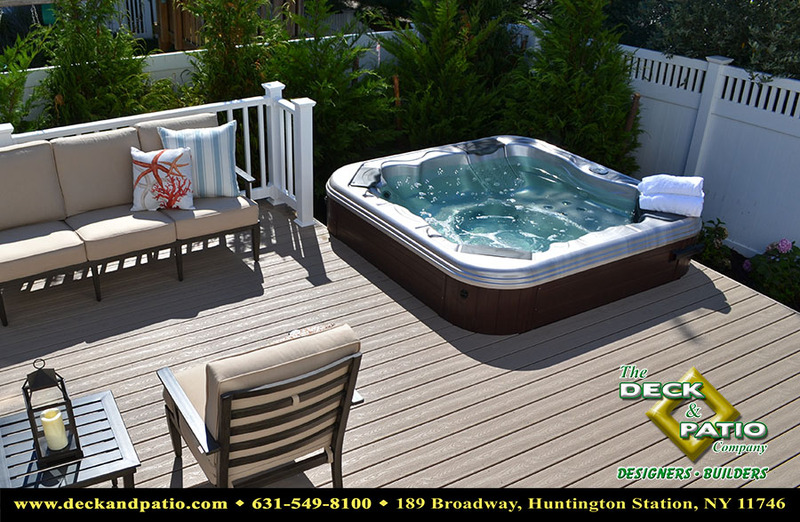 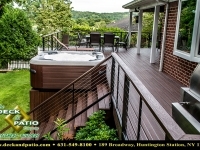 What is so unique about Deck and Patio is that we are not just a hot tub distributor, but a full service design and build firm. 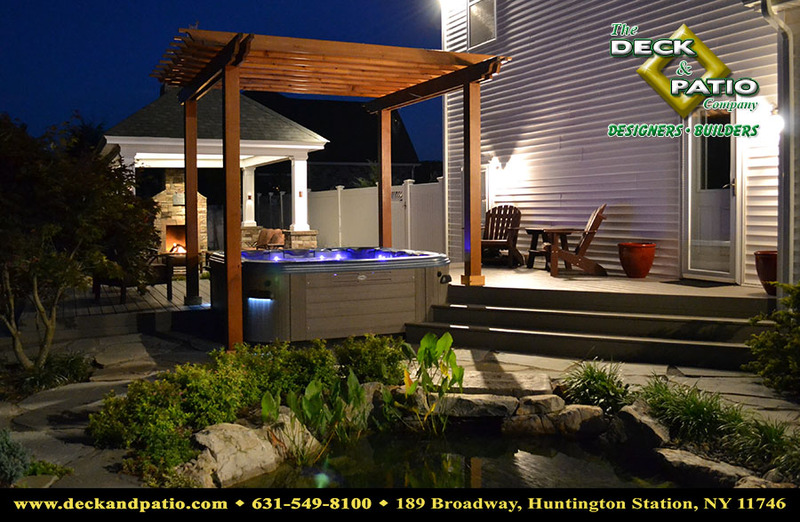 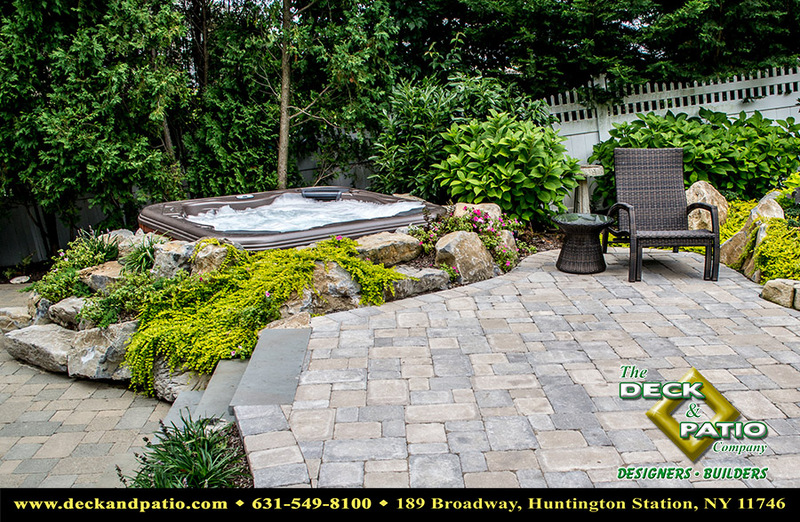 We will take on any project, from installing a new spa, adding a landscaped “spa surround”, to incorporating a deck and patio and furnishing the yard with a pergola, accessories, and beautiful landscaping. 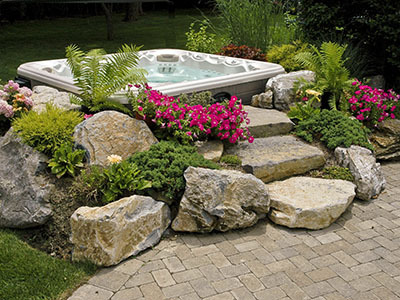 Whatever the job calls for, we can handle it from the ground up. 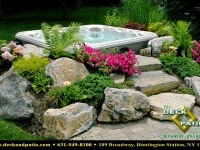 They are a nice focal point in a yard, and can do so much to enhance the look of an area. 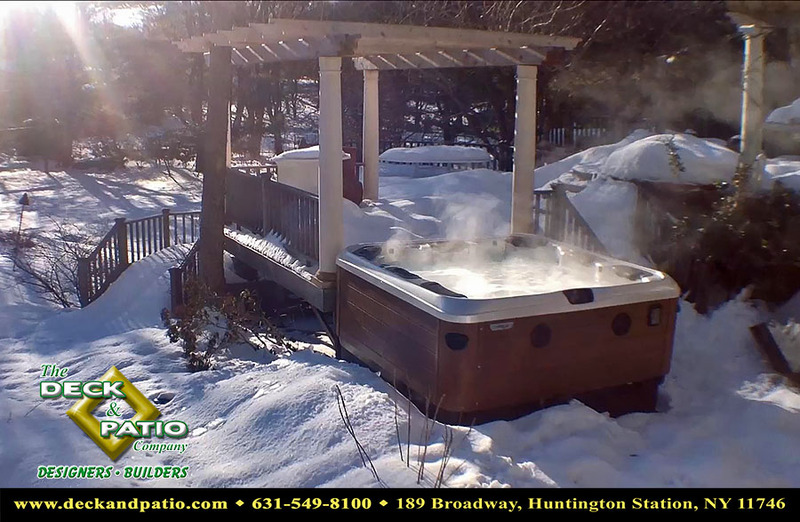 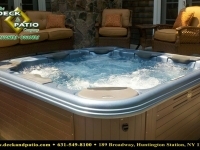 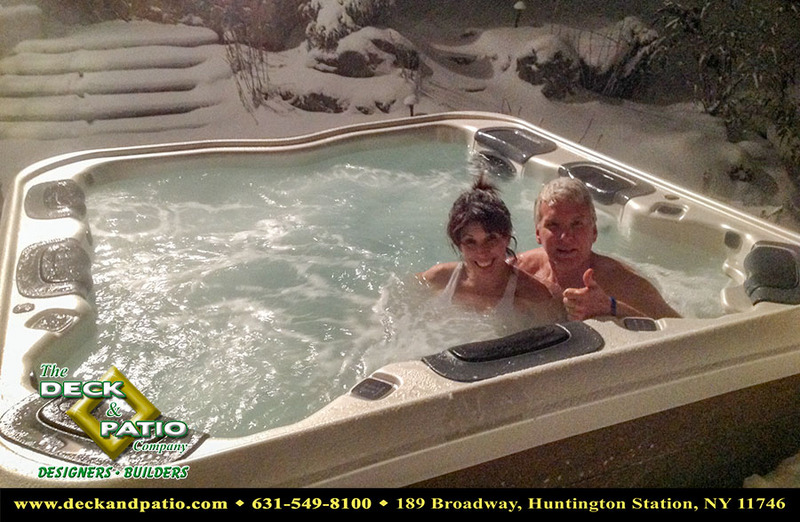 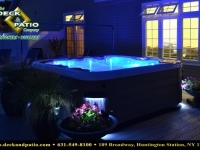 We invite you to look through the Hot Tub Portfolio Gallery below.